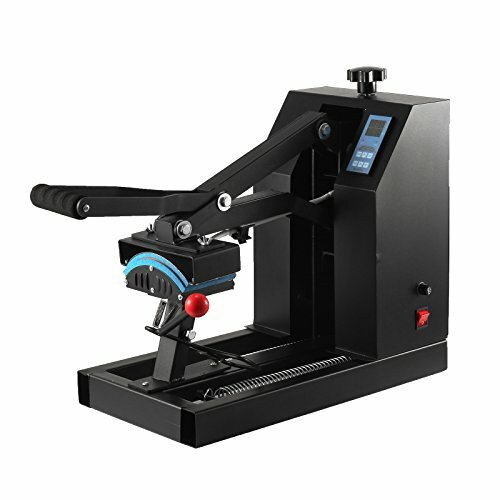 The Cap/Hat heat press machine possesses more accurate digital controller, and automatic time controller. The element is made of a solid block of high-grade aluminum. A spring-loaded cap tensioner makes single-user operation simple. It holds the cap flat against the lower platen to keep the cap from moving when aligning transfers. 1.This heat press machine is the most cost-effective,in similar products, always keep the lowest, the highest quality. 2.Coated handle - Comfortable rubber grip for everyday-use and long production runs. 3.Full-range pressure-adjustment knob - Easy to access, top-mounted control. 4.Rigid steel frame industrial strength and durability allows for long-term use. This 7" x 3.75" cap/hat heat press machine can be able to apply transfers, letters, numbers and images on cap, baseball hats and any other items.